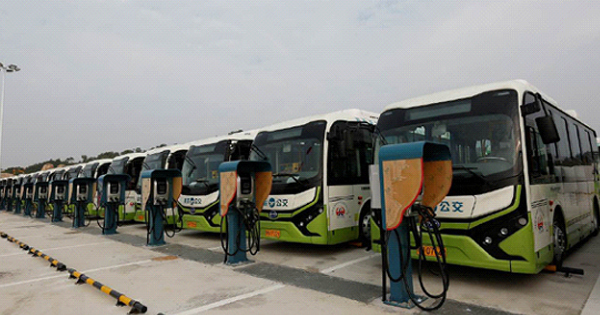 According to a report from Bloomberg, nearly half of the municipal buses on the road worldwide will be electric within seven years, with China expected to dominate the global market as it aims to cut urban pollution and support domestic manufacturers. Public buses are a key part of the urban transit infrastructure, and the fact that they serve routine, fixed routes makes them ideal for electrification. Cities across the globe increasingly see electric buses as a way to reduce local air pollution, and such municipalities as Paris and Amsterdam have set goals to switch to zero-emission buses in the coming years. Mayors of some of largest cities across the world, including Los Angeles and San Jose urged the state’s environmental regulator to introduce incentives and requirements to spur a shift toward electric buses from ones that use diesel or natural gas. China has also set the most aggressive clean-energy bus-deployment targets.